Green corridor pass system will be applied in Azerbaijan for participants of foreign trade operations by Feb. 1. 2019. 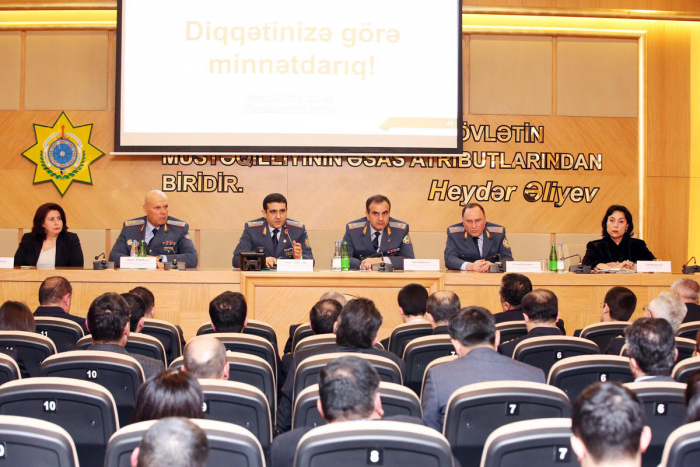 First Deputy Chairman, Major General of the Customs Service Ismail Huseynov said at meeting held in the State Customs Committee (SCC), AzVision.az reports citing Trend. At a meeting dedicated to granting the right to permanent use of the Green Corridor pass system, suspension, cancellation and restoration of this right, was attended by deputy chairmen of the State Customs Committee, Chiefs of Directorates, Representatives of the Center for Communication and Analysis of Economic Reforms, representatives of the World Bank and US Chamber of Commerce in Azerbaijan. The first deputy chairman of the State Customs Committee added that the new system contributes to the formation of the principles of mutual trust between entrepreneurs and customs authorities, which will play an important role in the growth of export potential, foreign trade and the economic power of the country.